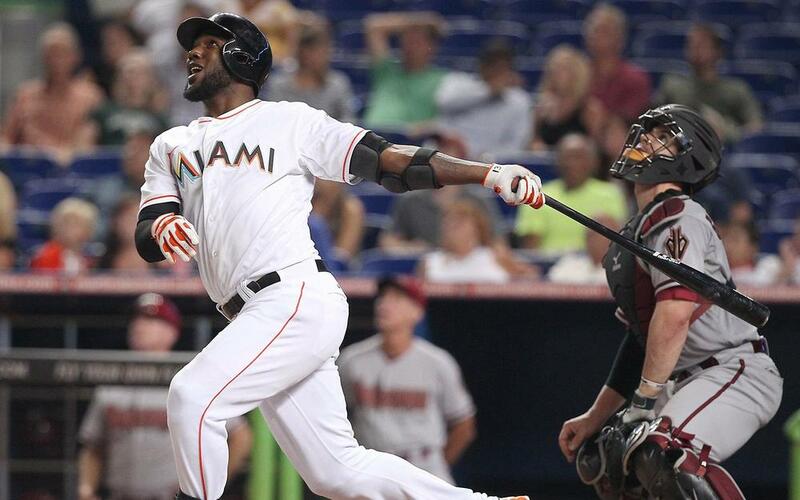 Marcell Ozuna(OF-MIA): Marcell Ozuna went 2-for-3 with a double, one run, three RBIs and one walk vs. the Braves. Ozuna went 50th off the board in the #2EarlyMock, and I think that is fantastic value. Many may write off the 36 homers, 122 RBIs and .313 AVG as part of a career-year, but I think this is only the beginning. He is carrying career-highs in the hard hit rate (38.9 percent) and EYE (.44), and is constantly hitting in the middle of a very dangerous lineup. And just think: he is only 26 years old. The lack of stolen bases keeps him out of consideration in the first two rounds, but I'd have no issue drafting him as early as round three. Ryan Zimmerman(1B-WAS): Ryan Zimmerman went 4-for-4 with two homers, two doubles and four RBIs vs. the Pirates. Zimmerman has played in 142 games this season, the most since he appeared in 147 in 2013. And he looks stronger than ever, as he has hit a career-high 36 homers while carrying an elite 40 percent hard contact rate and an average exit velocity of 91.3 MPH (good enough for 8th on the Statcast leaderboard among qualifiers). That he went 135th overall in the industry #2EarlyMock tells me that he could go extremely undervalued in 2018. I think the move to first has helped preserve his health and he could easily produce top 100 value. Stephen Strasburg(SP-WAS): Stephen Strasburg won after allowing two hits and two walks with eight strikeouts over 7 2/3 scoreless innings vs. the Pirates. While Kershaw, Scherzer, Sale and Kluber look to have separated themselves on tier 1a, Strasburg isn't too far behind. He has upped his swing and miss game in 2017, carrying a 12.8 percent swinging strike rate. He is also pitching more to induce groundouts when he needs to, which has helped him post his highest innings total since 2014. He is a perpetual injury concern, but to me his upside is worth the risk in the first three rounds. I want two 200-strikeout arms and Strasburg fits the bill. Maikel Franco(3B-PHI): Maikel Franco went 1-for-4 with a two-run homer vs. the Mets. The 25-year-old has posted a disappointing .230/.282/.402 line through 152 games, but underneath those surface stats, I see some encouraging signs heading into 2018. After saying he was going to make a concerted effort to be more analytical at the plate, Franco has lowered his chase rate by nearly three percentage points and has increased his contact rate by 3.5 percentage points. His .237 BABIP has masked the gains he has made, but with another offseason of growth, better luck and a full season with Williams and Hoskins around him, Franco looks ready to deliver solid value next season. Ian Happ(2B/OF-CHC): Ian Happ went 2-for-4 with a three-run homer and two runs vs. the Reds. I suspect Happ could be one of the more undervalued bats heading into 2018 drafts (unless he posts huge numbers in the post season). His 31.5 percent strikeout rate has hurt his AVG, but he is only chasing 31.5 percent of the time and showed an ability to cut down the strikeouts in the upper minors so I do envision his AVG increasing. Plus, his late start to the season with the Cubs and Joe Maddon's proclivity to shuffle the lineup around has limited Happ's counting stats. With an offseason of growth and increased at bats, I think Happ could be a steal on draft day. Thank you for making 2017 such a rewarding season. Cheers to a strong final weekend!